Please join us Friday, May 10 at the historic The Woodward Opera House! 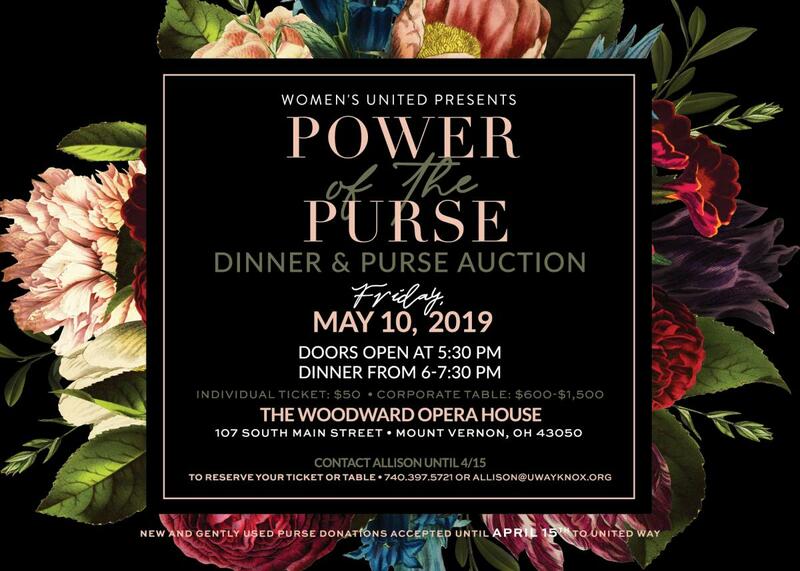 Individual Tickets are $50 and include dinner, one free drink, and purse auction participation. Balcony Tickets for just the auction and entertainment portion of the evening are available for $25. These guests will join the event after dinner, and will have private seating in the balcony, as well as a complimentary glass of wine. To reserve a corporate tables for $600 to $1,500 contact Allison at 740.397.5721 or email allison@uwayknox.org.